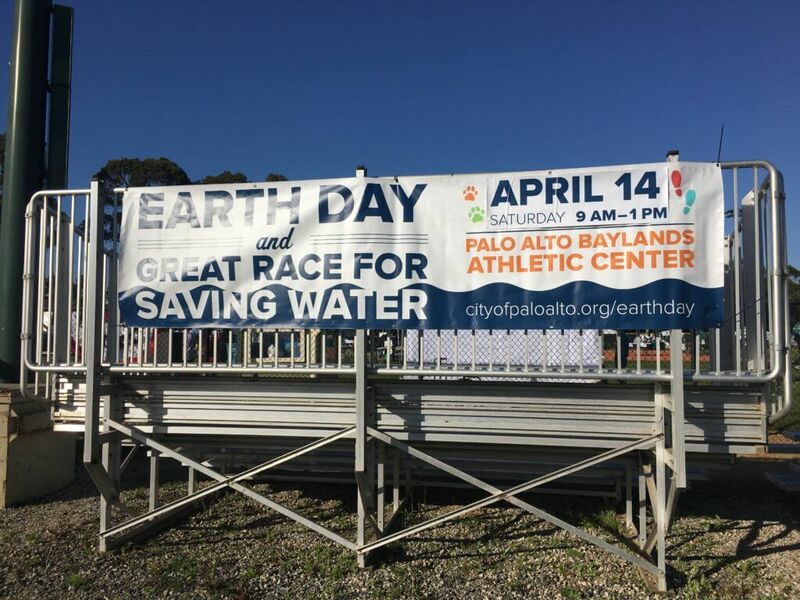 On Apr 14, 2018, I participated the Great Race for Saving Water in Palo Alto. 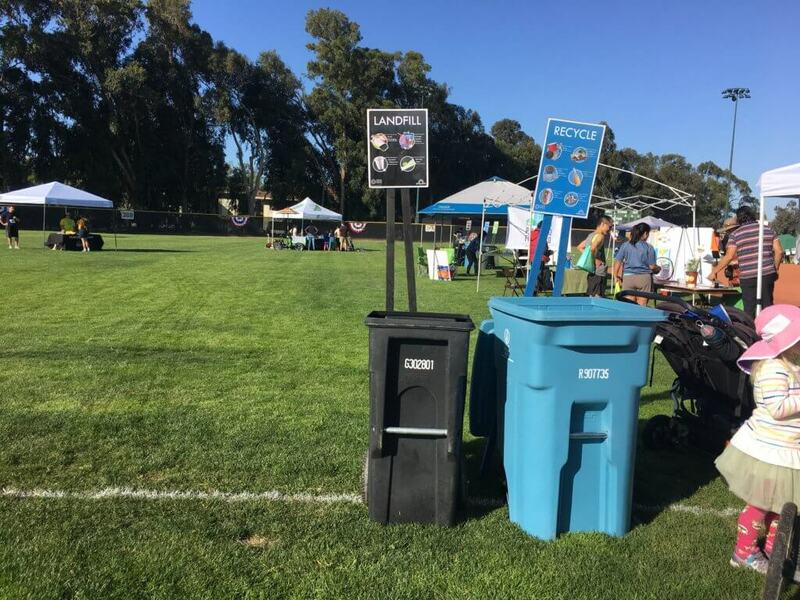 This is the fifth Earth Day celebration hosted by city of Palo Alto. 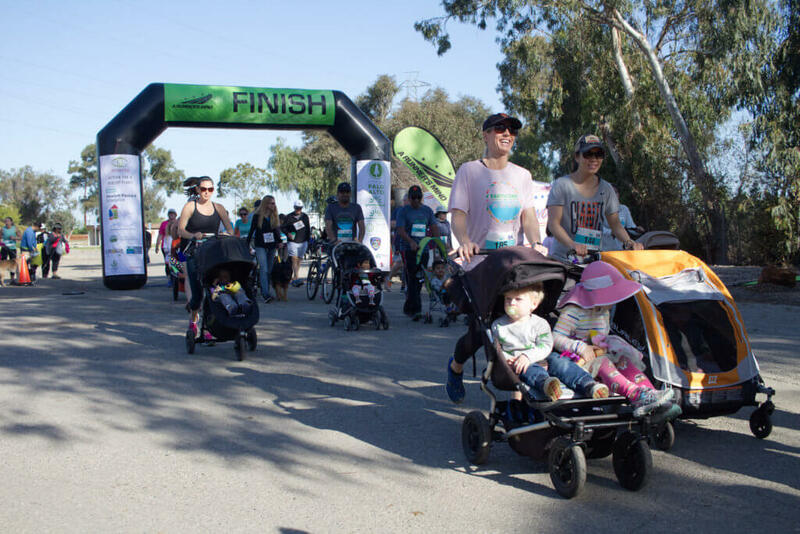 It is a 5K run/walk and kids 1K fun run to “raise awareness about water resources, conservation and environmental health”. The race would start at 9am. From the early morning, people started streaming into the start venue, Palo Alto Baylands Athletic Center. Once there, a lot of exciting things were already waiting. You have seen food trucks, but have you seen a water truck? 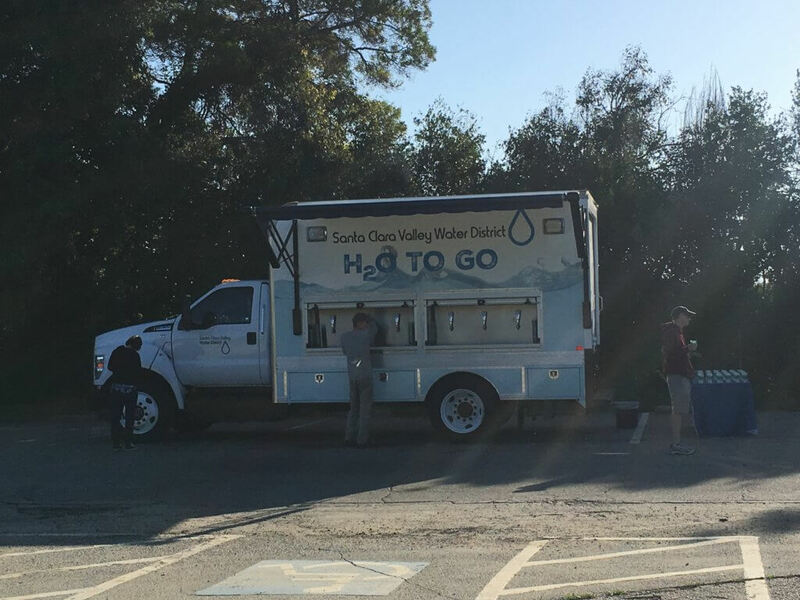 One of the first thing that would catch anyone’s eyes was a water truck, Santa Clara Water District’s “H2O to Go”. 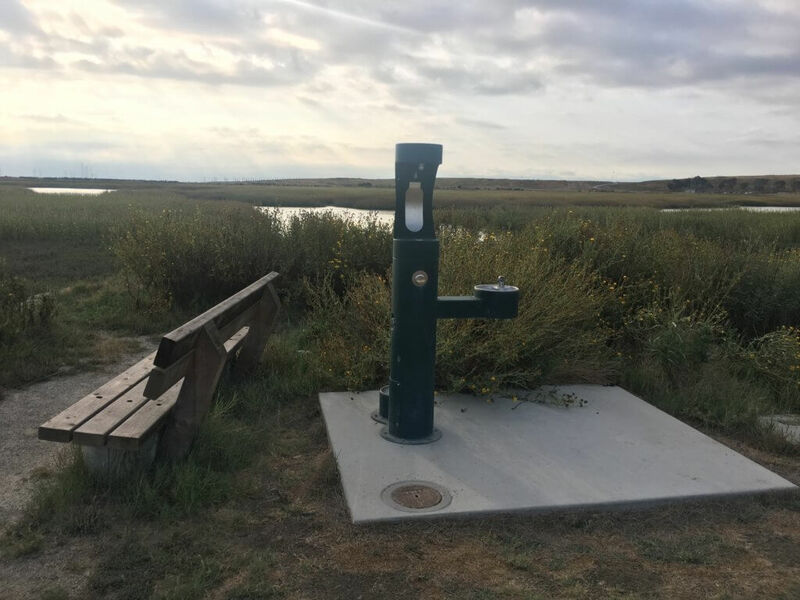 As Santa Clara Water District describes on the truck’s website, “Standing 11 feet tall, the water dispenser-on-wheels holds approximately 500 gallons of chilled tap water; about enough to fill 8,000 servings in 8-ounce cups. Under a roll-out canopy on each side, residents can fill up at any of the vehicle’s 14 dispensers, seven on each side. The cold, refreshing water is from the district’s water treatment plants, which supply Santa Clara County with clean, safe and high-quality water. Water from our treatment plants consistently meets or exceeds all state and federal regulations, which continually grow more stringent. Drinking tap water also helps to protect the environment. With enough water to replace almost 4,000 water bottles, the water truck can save the earth from 105 pounds of plastic waste”. There are so many benefits drinking from tap like these in the truck versus bottle. A big portion of bottled water actually is just tap water; while the tap water costs consumer almost nothing ($0.004/gallon), bottled water costs 300 times more, at $1.22/gallon. Despite all these, the bottled water consumption has increased tremendously in the last several decades. Per capita consumption increased 3 fold from 9.8 gallons per person annually in 1991 to 30.8 in 2012. One huge issue stemming from this massive consumption is pollution. Globally, humans buy 1 million plastic bottles per minute; however, 91% of the plastic is not recycled. A huge number of plastic bottles end up in landfill, and a big part of them go into ocean. According to Ocean Conservancy, plastics are believed to threaten at least 600 different wildlife species. 90% of seabirds are now eating plastics on a regular basis; by 2050, that figure is expected to rise to 100%; At that time, there will be more plastic than fish in the oceans. To manage the issue, Europe is planning to ban 10 single use plastic items that make up for 70% of all litter in EU waters and on beaches. While we all need to drink water, we definitely do not need more plastic bottles. Everyone would enjoy some cold, refreshing water, especially after running at a race. Before the water truck, water supplied to thirsty runners at a race like this would be just boxes after boxes of bottles. As there are over 30,000 organized races and close to 17 million race finishers in the US a year, suppose one runner at least consumes 1 bottle, the races in US alone will generate 17 million bottles, with a big portion of that ending in landfill and oceans! The Great Race was estimated to be attended by 1000 people. 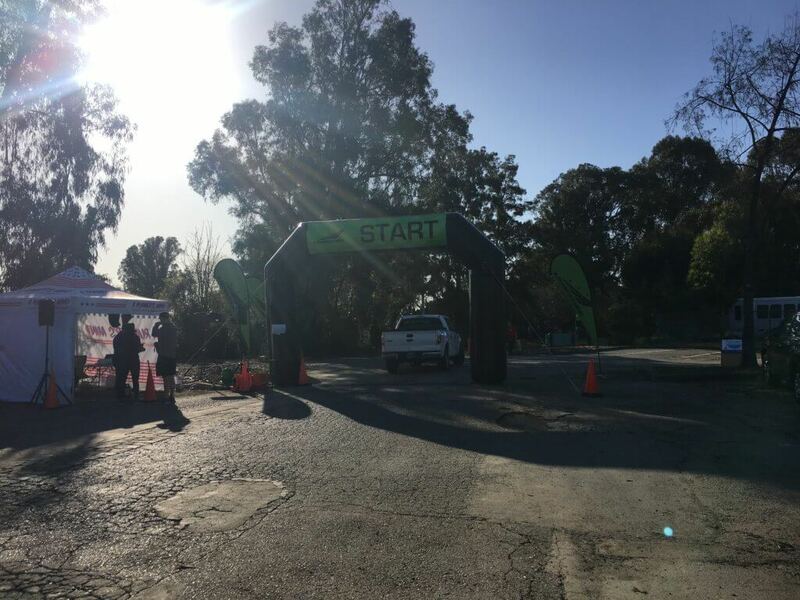 By providing a water truck, the race organizer and Santa Clara Water District removed at least 1K bottles from this event. Kudos to them for quenching the thirst for the runners, and doing a great thing for the environment! At 9am, the race started. 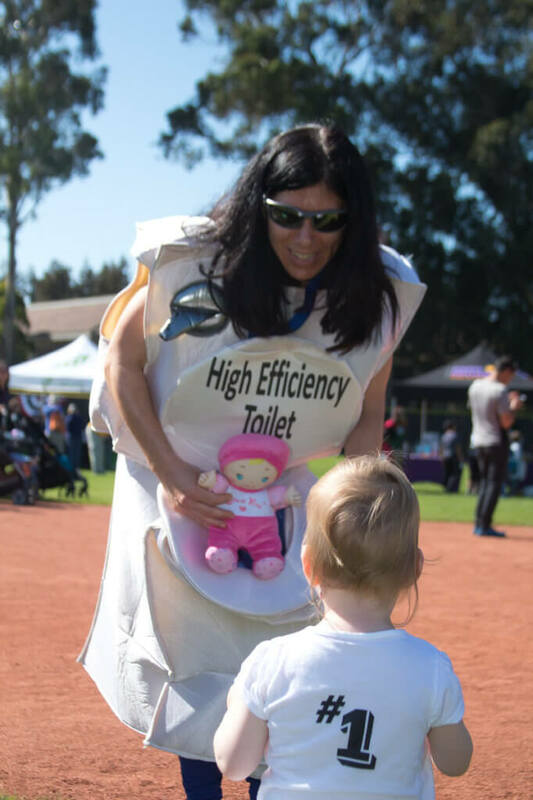 In the race, one could not help but notice something that was rather unusual – a running “leaky toilet”; to be more concise, someone who was wearing a costume of a toilet. Why a toilet? Well, it carried a rather big message about water. Leaks are a big source of water waste. Up to 50% of households will experience some kind of water leak in a given year; according to EPA, household leaks can waste more than 1 trillion gallons annually nationwide. enough for more than 11 million homes’ annual water use! As water leaks can waste so much water, we should do everything we can to prevent and fix it immediately when it happens. We all understand the importance of using high water efficiency products, like the high efficiency toilet shown here, to save water. However, if leaks happen, any savings can be wiped out, and more. It is good that we use these products, like the toilet, or water efficient irrigation such as drip ; equally important though, is that we can prevent, detect and fix any leaks quickly when they happen. There were quite a few partner booths and activities at the festival. 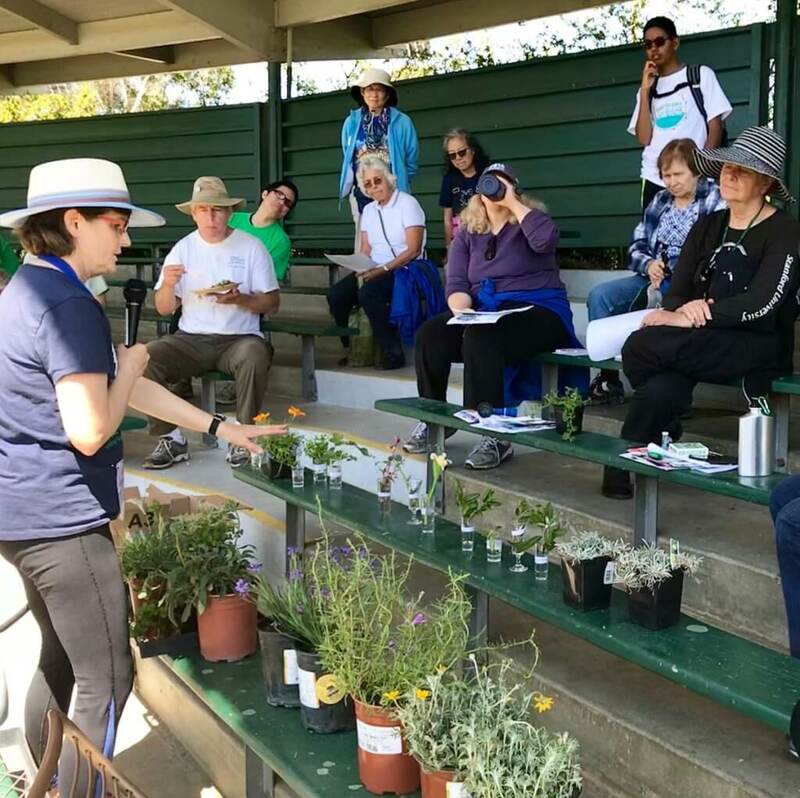 Here, a landscape designer was giving a presentation about landscaping with California native plants. 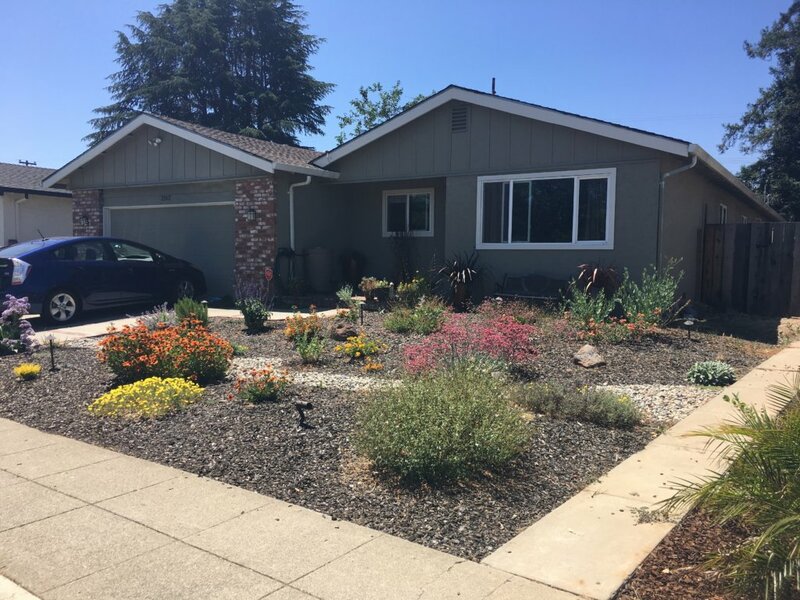 Compared with a lawn, a garden with drought tolerant and native plants can save water significantly. In addition, these plants can provide habitat for pollinators like bees, birds and butterflies, providing rich biodiversity and supporting a healthy eco system, which a lawn can not. A garden can also add so much color and textures to the space, making it attractive and adding the curb appeal for the house. 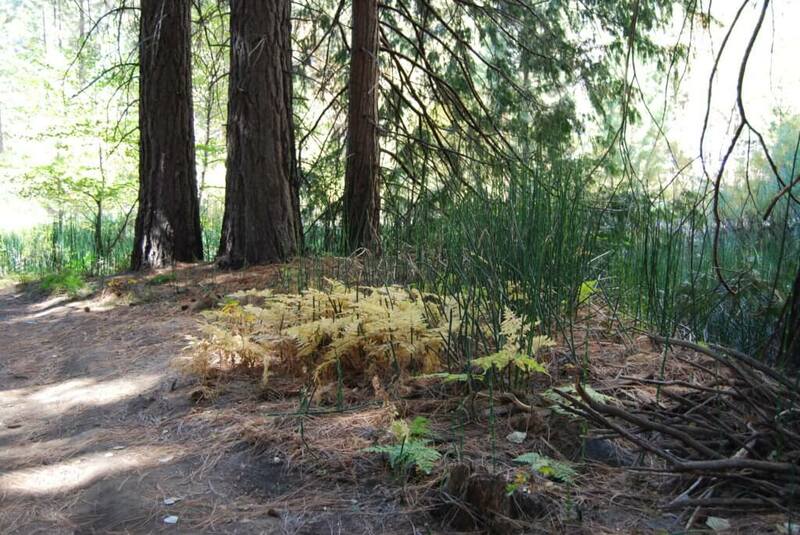 Outdoor landscaping accounts for half of the urban water use in California, which is a lot. To save water, replacing a lawn with a water efficient gardens is one of the most effective ways. Plant some wild flowers, save water and help out the bees and birds. They will surely be grateful! 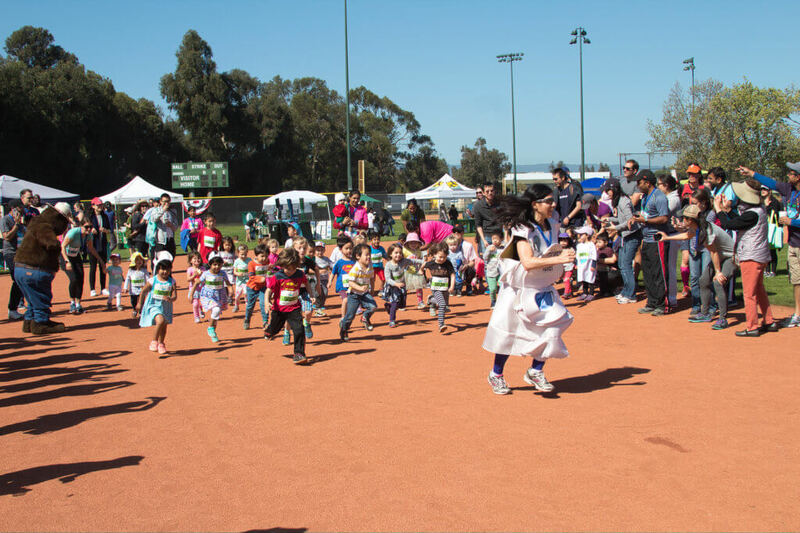 When one came to the festival, they would find this sure was an event not just for adults, but also for kids. There were kids everywhere, from little babies to teenagers; There was an 1K fun run just for kids. For a kid, there were so many fun things to look and do. The smokey bear! 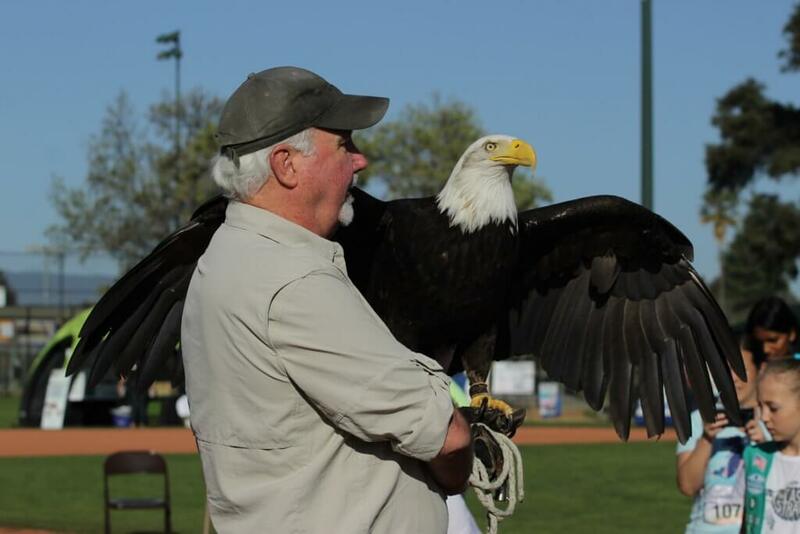 The eagle! With global warming, pollution and other environmental issues, our globe is facing some serious challenges, which will just become more serious if not managed well. This makes it really important for kids to be involved early, to become educated in the topics about earth, environment and sustainability. When today’s kids grow up, they will inherit the earth with all the issues and challenges; what they learn now can prepare them for the challenges then; furthermore, if they understand the importance today, they can join join adults and do something to prevent, reduce or slow down the impact of these issues. 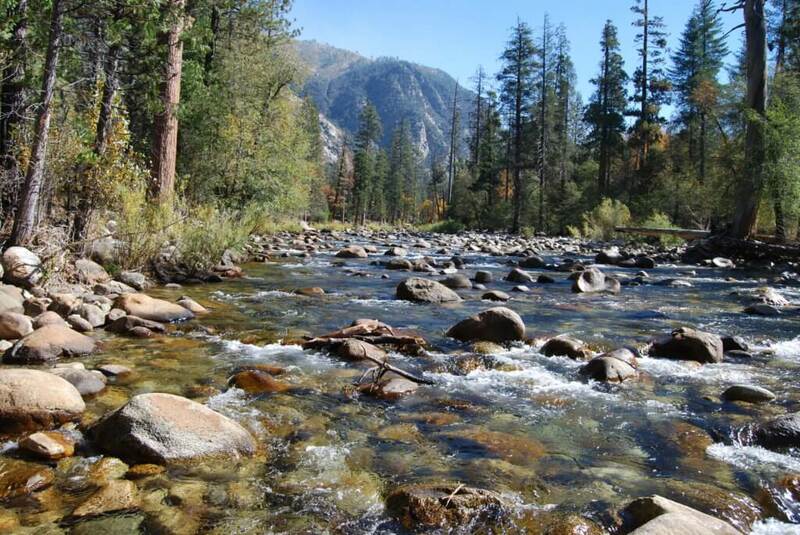 For example, our water supply from snowpack might decline by 60% in just 20 years. Facing such a future, kids should learn today how precious our wate is, and what they can do now to conserve water. By chasing the “leaky toilet”, they will understand the significance of preventing water losses like leaks. When they grow up, in a world that will have less stable water supply than today, they will fully appreciate the value of water and try to come up with ways to use it well. Out of the many things they will do, they might design a better toilet that have less leaks, and save more water. Well, beyond all the fun activities, this still was a race. I was just planning to have a good time and did not prepare anything special for the race. After the race started, I dashed through the 5K. When they announced the winner for each age group, to my happy surprise, I won 1st place in my age group. Luckily, in our long race towards a clean and sustainable earth, not just one person, or a group, a country, or one generation can be the winner. All of us can. If we come together and work together, if we bring our kids along, we will all win in the end. The sky will still be blue, water still be clean in the next generation, and the next. 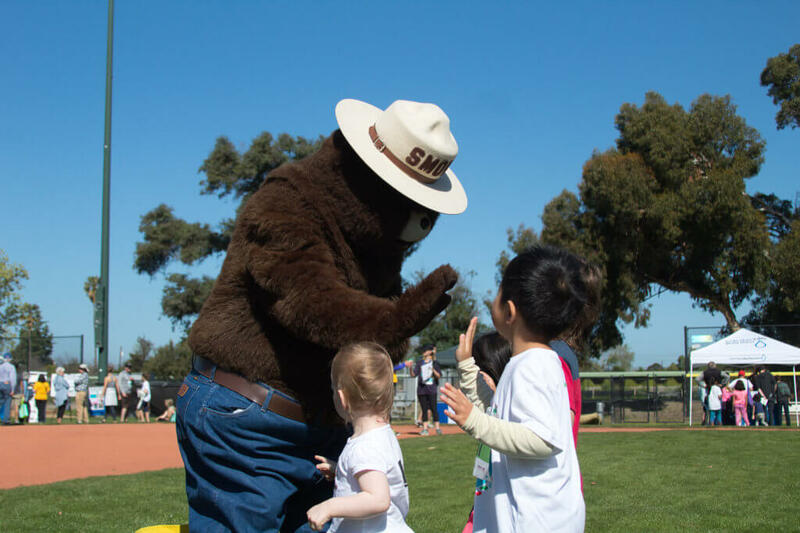 The Great Race for Saving Water has been a very fun and educational event, blending in sports, games, plants, animals and many more to give everyone an abundant dose of fun and information. It is truly a Great Race for Saving Water. 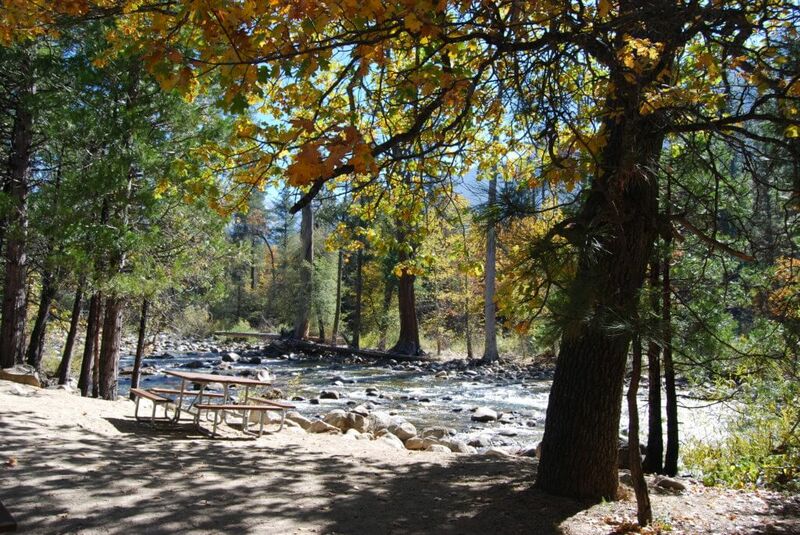 On an October morning, we went to the Sequoia and Kings Canyon National Park. It was a very clear and nice fall morning. 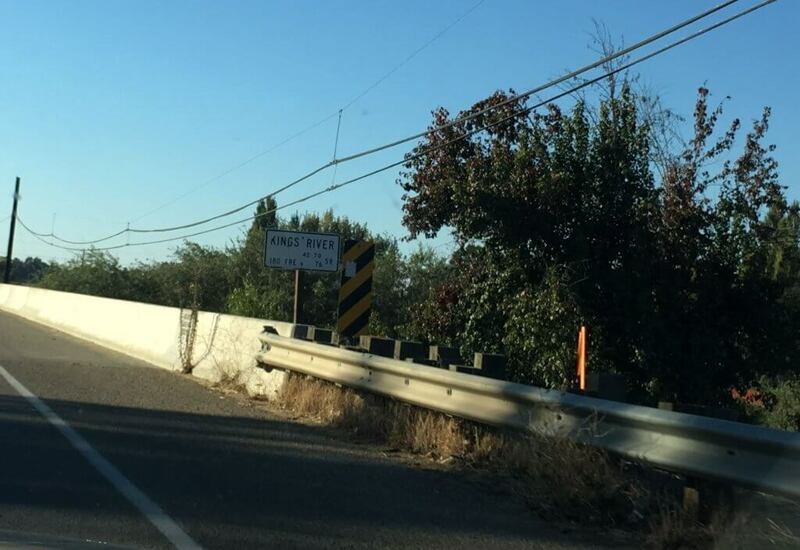 On high way 99, you could see the irrigation ditch running parallel to the free way. Though tiny from afar, the blue color of the water contrasted briskly with the yellow banks along it and mountains behind it. Sierra Nevada and its snowpack, is the source for the water, which we will see very soon. After we watched in awe the giant Sequioas the first day, we went to the Kings Canyon National Park the next day. When driving on the road into the park, one could see water running in the canyon to the right of the road, in the yellow and golden fall foliage. The views were spectacular. 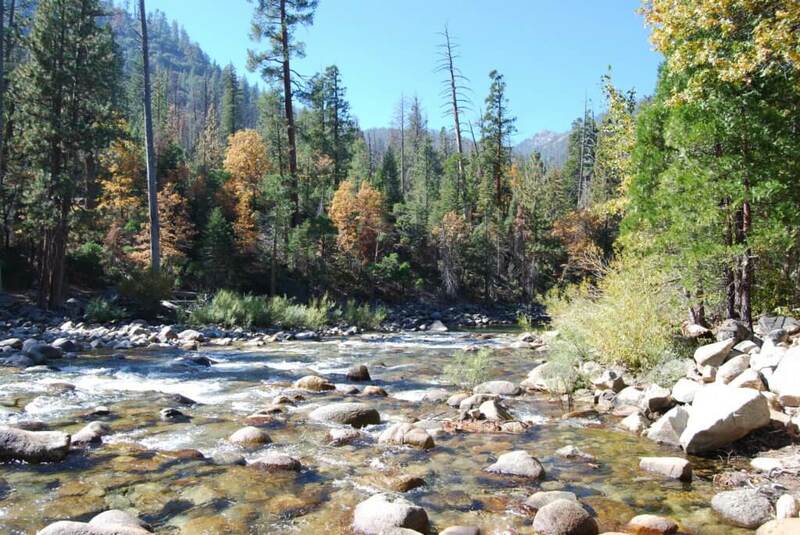 This is the South Fork of the Kings River, one of the three forks that form the river (the other two are Middle and North Fork). We stopped at Ceder Grove Visitor Center, which just closed for the winter season. A short distance away is the river bank of the King river. The water was so clear, like liquid crystal, moved slowly from east to west. Where does all this water come from? Snowpack in Sierra Nevada, a mountain of which can be seen in the picture above at the back. However, there was no snow patch visible now. Every year, during the cold winter season, snows falls on the Sierra Nevada, which means “snowy range” in Spanish. 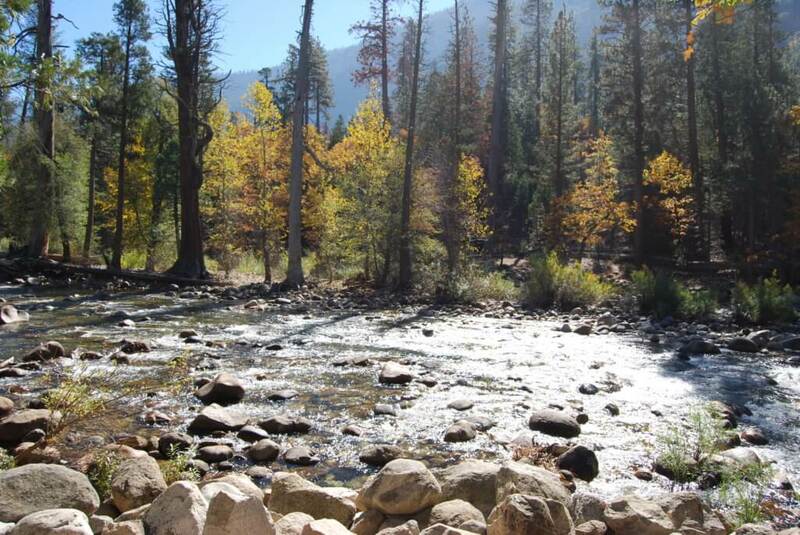 The whole mountain range captures and stores the vast amount of snow, then at spring time, the snowpack begins to melt and fills rivers with water, like the South Fork of Kings river here. The snowmelt peaks late spring around March to April, then declines through summer and fall, until it reaches the bottom around September. So we were at about what was supposed to be the very low point of snowmelt. 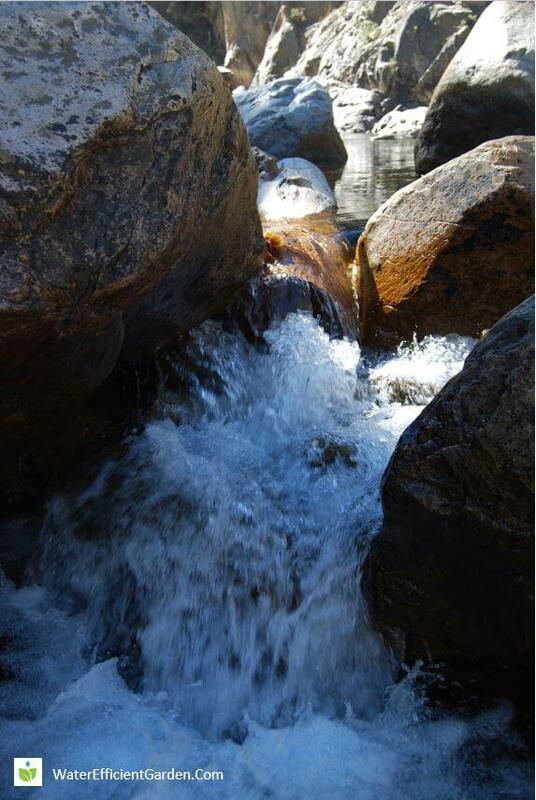 The water level should be about the lowest now; usually we might not see all these rocks at the riverbed. 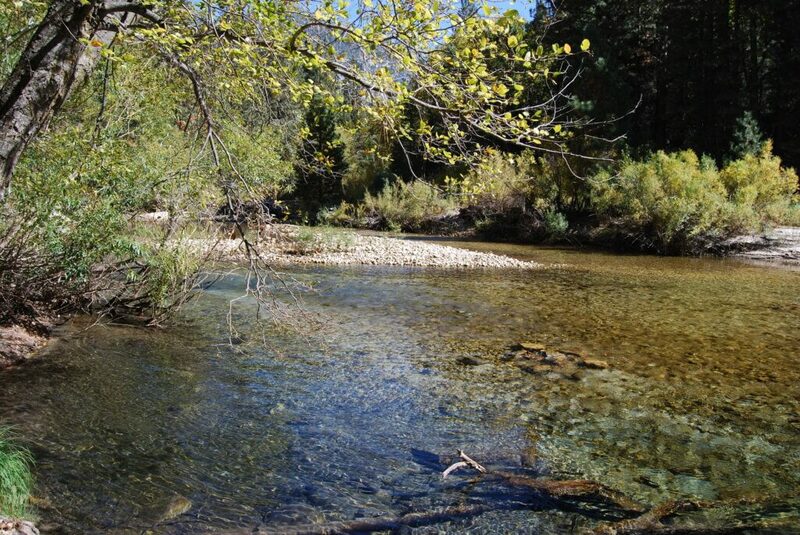 From here, the water in South Fork flows down Kings Canyon, then join other forks at the foothills of the Sierra Nevada to become the one big Kings River. 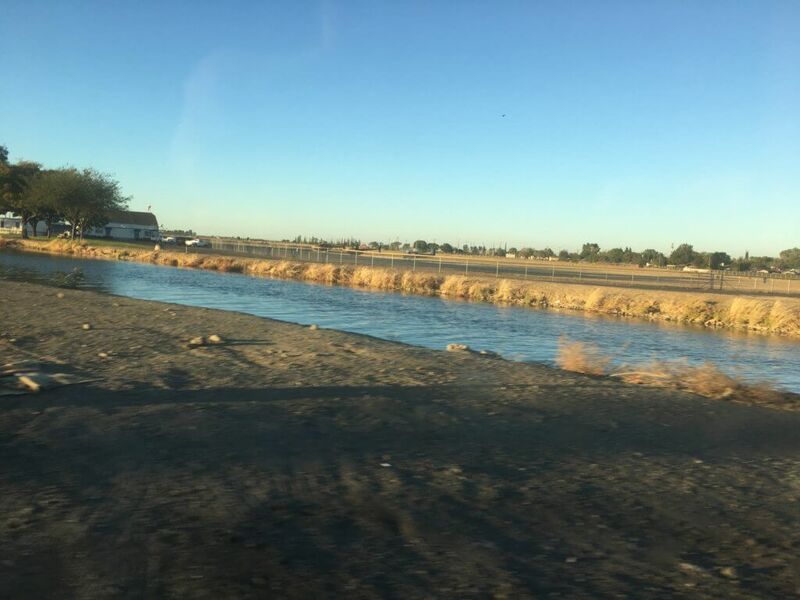 Later the Kings River divides into three distributaries, with North Fork Distributary connecting to the Fresno Slough that drains into the San Joaquin River. 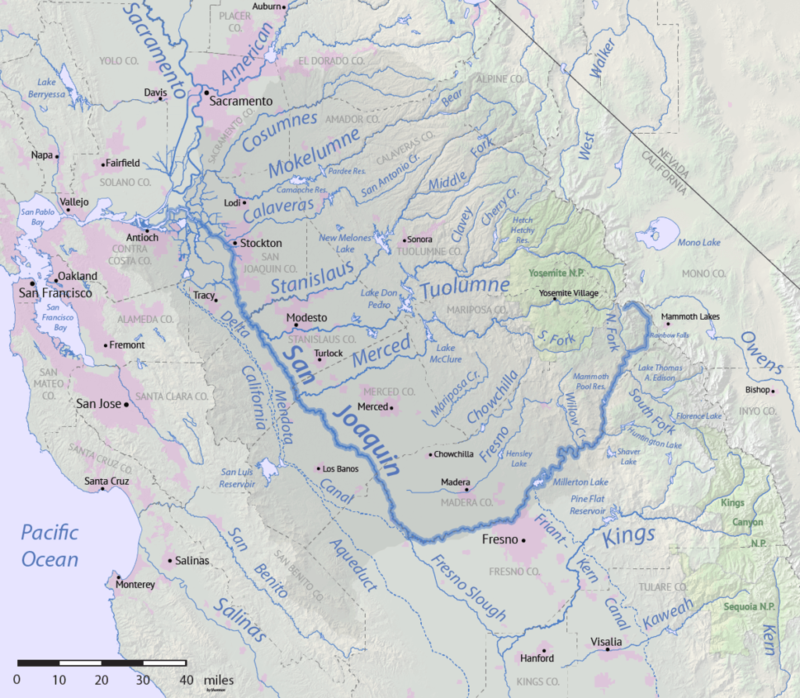 San Joaquin River merges with the Sacramento River in Sacramento-San Joaquin Delta (Delta), from which the State Water Project and Central Valley Project deliver the water to many parts of the state, including the Bay area, Central Valley, Los Angles and Los Angeles Basin. So, when we turn on the tap back in the bay area, the water that comes out may be from the water we see here! 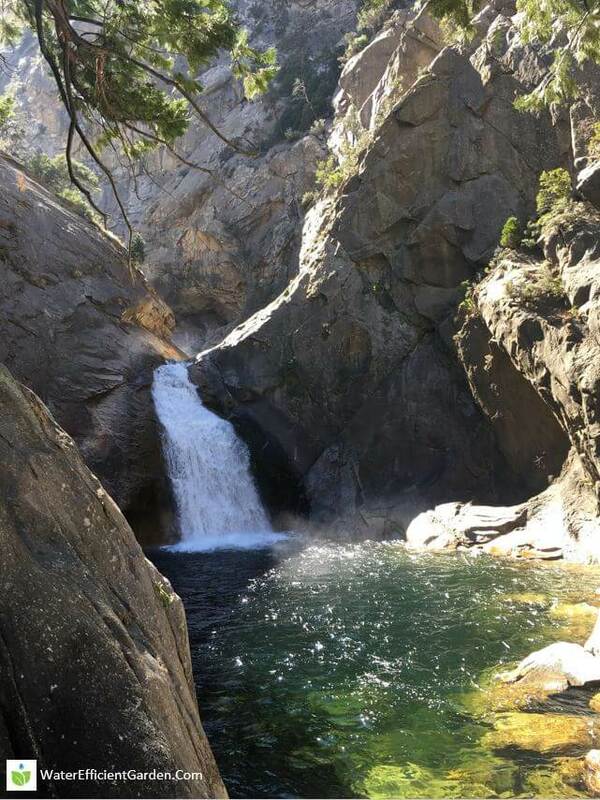 After the double falls, the water tumbles down yet another step, then flows to this little pool surrounded by mountains and fall foliage, a stunning beauty in green tranquility. From here, it merges into the South Fork. We came back to the main road along the South Fork, and went upstream. Along the way, every view with the river was captivating. That’s amazing. The water that flows by in front of us is not just this incredible natural beauty; along with the surrounding mountains, the snowpack there invisible to our eyes, they are part of this huge water storage and delivery system, supporting “more than 25 million Californians and three million acres of agricultural land.”, as indicated by Sierra Nevada Conservancy. People like us who live in the cities, big and small, depend on it; the state’s agriculture business, at 45 billion in 2016, depend on it. Such a critical resource, unfortunately, is under some very serious challenges. 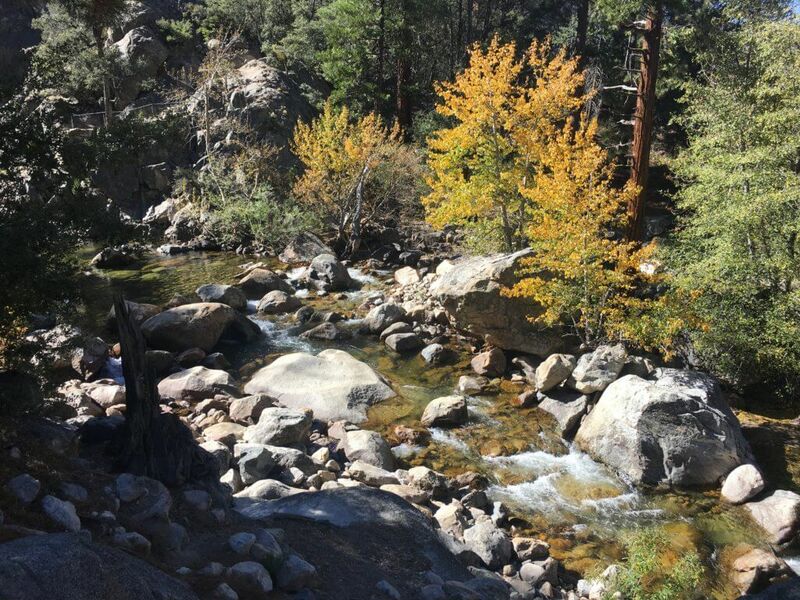 “By 2081–2100, if nothing is done to curb greenhouse gas emissions, average temperatures in the Sierra Nevada are projected to increase by about 7–10 degrees F, depending on the month in question, compared with 1981–2000. In another study published in the peer-review journal Nature in 2017, “Westen U.S. Snowpack could decline 60% by 2040“, with a decline of 30% “very likely”. Reduced snowmelt runoff. Smaller snowpack means less snowmelt. This is already happening. Water Education Foundation indicates that “In the past 100 years, annual runoff that occurs during April to July has decreased by 23 percent for the Sacramento basin and 19 percent for the San Joaquin basin, according to state climate statistics.” As more than 60 percent of the state’s water supply comes from Sierra Nevada, the reduced runoff is a very serious challenge. Snowline is moving uphill. 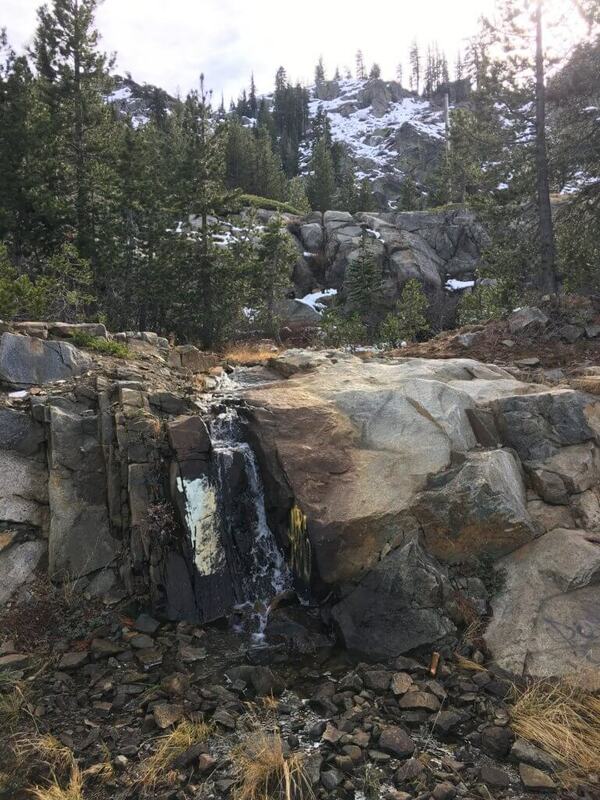 Scientists at the Desert Research Institute in a study published in journal Water reported that warmer temperatures have pushed the snow line in the northern Sierra Nevada uphill by 1,200 to 1,500 feet. There will be less snow and more rain. As the snowline moves up, in the big areas that used to receive snow, now will only receive rainfall. Snowpack is like a reservoir that releases water gradually throughout the whole year; Rain, on the other hand, will just flow away instantly as runoff. If we can’t capture and store all the runoff, we will lose a big chunk of water we have today. Runoff timing moves earlier. 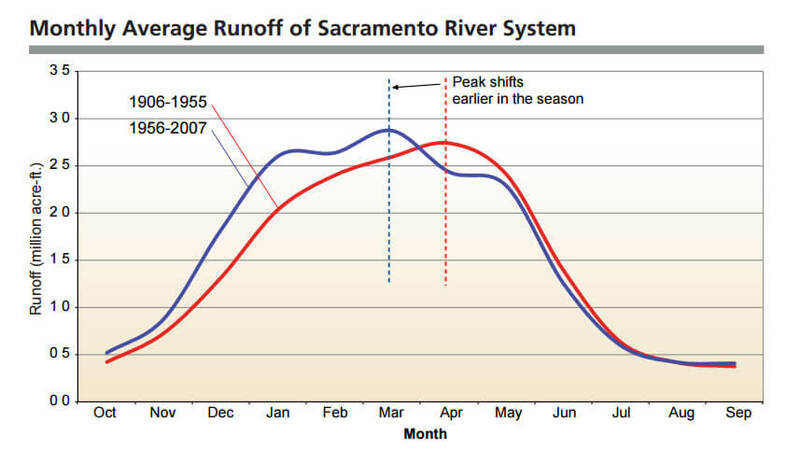 For the Sacramento River, compared to 50 years ago, the peak snowmelt time has moved earlier by a whole month, from early April to early March. Here is the chart showing the changes in peak snowmelt runoff. When snowmelt peaks early, reservoirs are forced to release water earlier too, which means less water for later when water is needed the most – summer and fall. If the snow is gone before the reservoirs can recharge, then communities that depend on that stored water will face very tough situations. More wild fires. Higher temperatures bring more wild fires. The loss of such a big number of trees deteriorates the eco system, reduces the nature’s capacity to store water, further worsening the water supply situation. As there will be no trees to slow down the runoff, the possibility and hazard of flooding will also greatly increase. On our way home, we crossed the bridge of Kings River. Looking out of the window, one can see fields after fields of corps, all the way to the horizon. 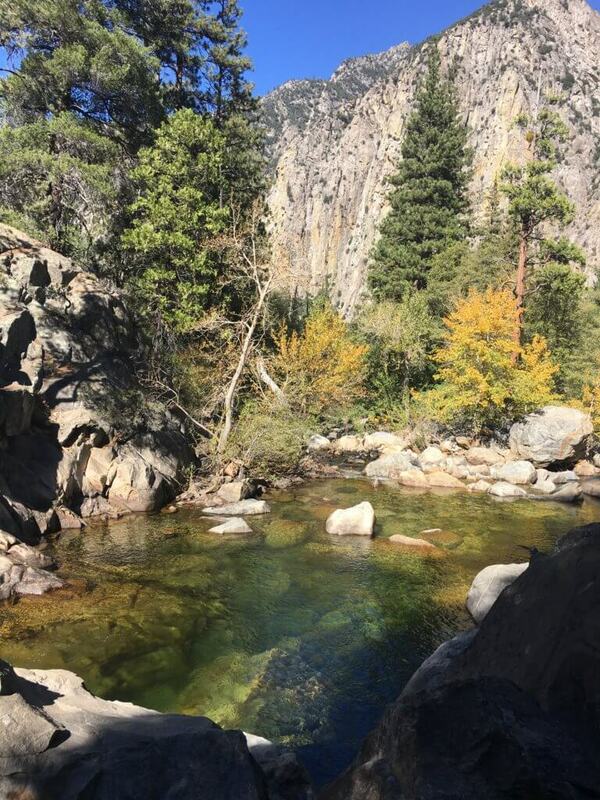 When one took a glimpse at the water in an irrigation ditch, it was clear, blue, and calm as a mirror, a contrast to the water we just saw in the Kings Canyon. 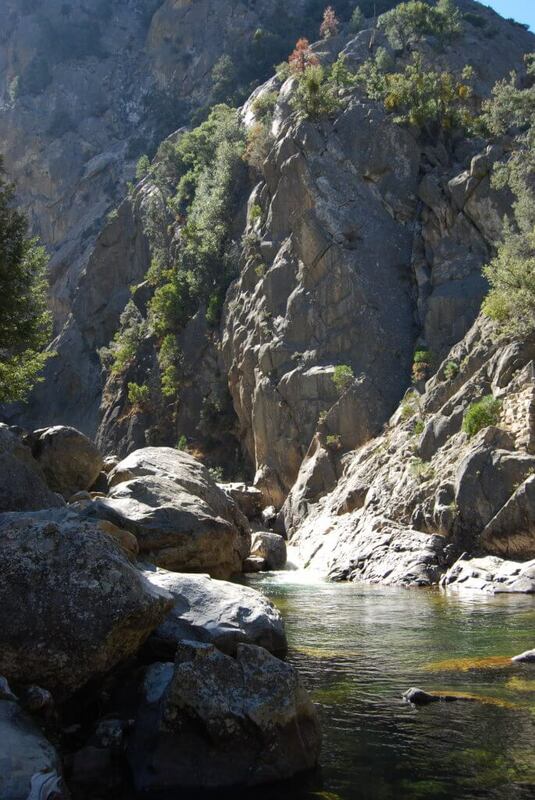 After it flows out of Kings Canyon, the Kings River comes here and irrigates this vast expanse of land, and beyond. It has been like that for many years, and it’s natural to think it will continue for many more years. However, as the Sierra Nevada snowpack will “very likely” reduce by 30% in the next 20 years, the water we see today might not be there tomorrow. A city completely without water is not just a remote possibility any more, it is happening. Cape Town, the second largest city in South Africa, is projected to run into “Day Zero“, when running water will be completely cuts off from the city, in May. In California, outdoor landscaping watering accounts for half of total urban water use . To replace water-thirsty lawns with water efficient gardens is one of the most effective ways we can save water. Building such a garden will not only conserve water, but also beautify our space, provide food to the pollinator, and nurture a healthy eco system. By putting every drop into the best use, not only will we have the water we need, we can also best show our gratitude to the nature, and its generous gifts for us for so many years. Fallen Leaves – A Nuisance or Treasure? 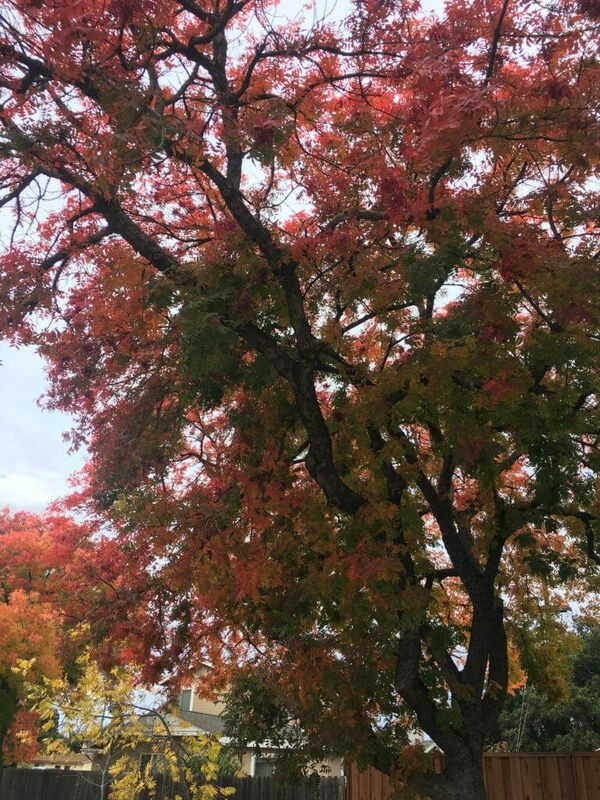 Fall is here – look at that beautiful foliage! While we love to appreciate the wonderful colors of the fall foliage, the one thing that often accompany it – the fallen leaves, is another story. “What a nuisance!” – we might think. With the thought we might just pick up the rake and bloom, sweep them together, pile them up, then dump them away as garbage. We have been doing this for so long we never thought second time about it. Actually, the best place for those leaves to go is not garbage, but where they fall on – the earth, or soil, to be more precise. This is what nature has been doing for millions of years. It is the nature’s way of keeping everything alive and well. If we go to a forest, when we set our sight on its floor, we might see a thick layer of leaves, accumulated over many years. Nobody cleans them away; the leaves just keep falling and sitting on the older leaves, year after year. Over the time, those leaves at the bottom will be absorbed into the soil. holds more water. this kind of soil is a great environment for all kinds of macro and micro organisms. They improve the soil structure and make the soil like a sponge with many tiny holes. This kind of soil can retain a large amount of water, making it more drought resistant. If we have such soil in our garden, watering can be reduced by quite a bit. 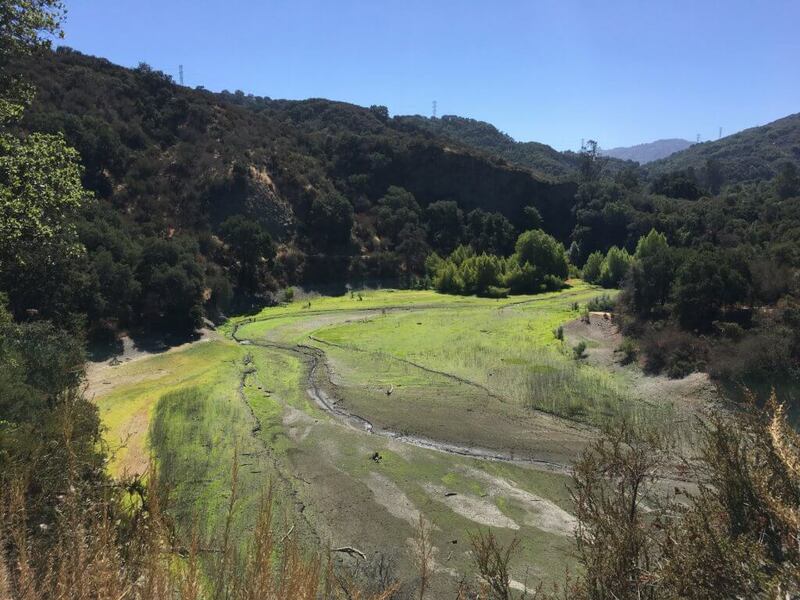 In California, where drought is a constant threat, while all kinds of solutions are being explored, healthy soil, with its water holding capacity and implication for water usage reduction, can be an important part of the overall solutions. can absorb more carbon. In addition to water, soil also holds air, with a big part of that is carbon. Plants take in carbon dioxide and water, and transform into sugars and oxygen in the photosynthesis function. From the above, we can see how important healthy soil is for us, and fallen leaves can be one of the keys to achieving it! Fallen leaves is something that healthy soil needs and badly craves. In stead of dumping the leaves away, we can try following. Mulch your yard with leaves. This can provide two benefits at the same time: give soil the organic matter, and suppress the growth of weeds. No need to shred the leaves – they can be worked into the soil fine. If you prefer, you can shred them before mulching. Compost. Leaves are an excellent source of compost materials. Put them into a compost bin, add food scraps and others (water, etc) with the right ratio, and let the compost process begin. After about two months, you can get good compost soil that you can apply to the plants. Put them in a yard waste bin. If your city has a yard waste collection program, put them in the specific bin. The leaves in the bin will be sent to a compost facility instead of a landfill. This way you can help avoid the pollution in a landfill, and turned them into compost – something good for us. Avoid using the leaf blower. They make noise and carbon dioxide, something we don’t need more of! 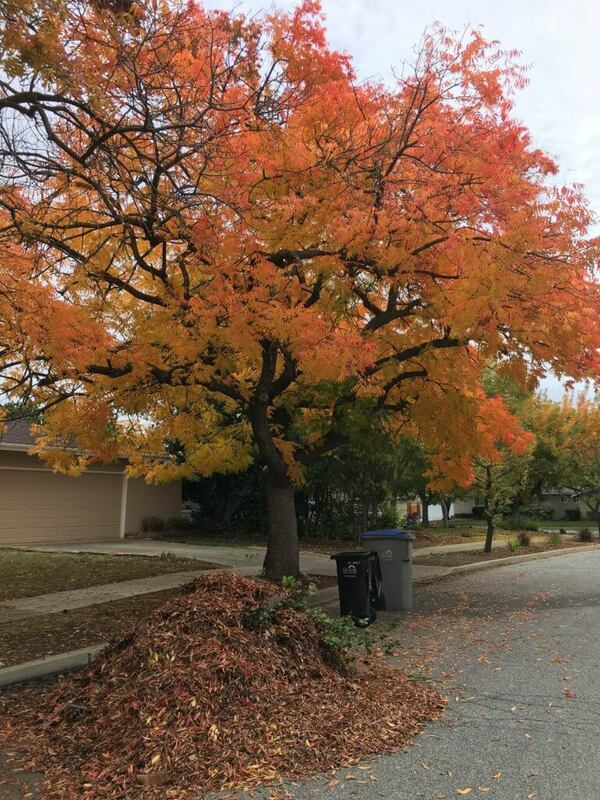 If the leaves can’t be left on where they are (remember they make excellent mulch and contribute to great soil) and must be collected, just use a rake or bloom. 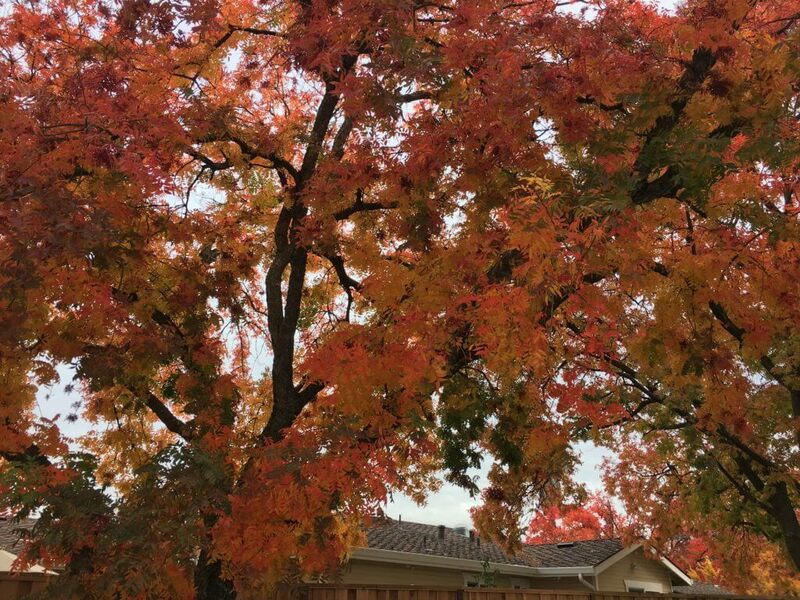 Enjoy the foliage while you rake. 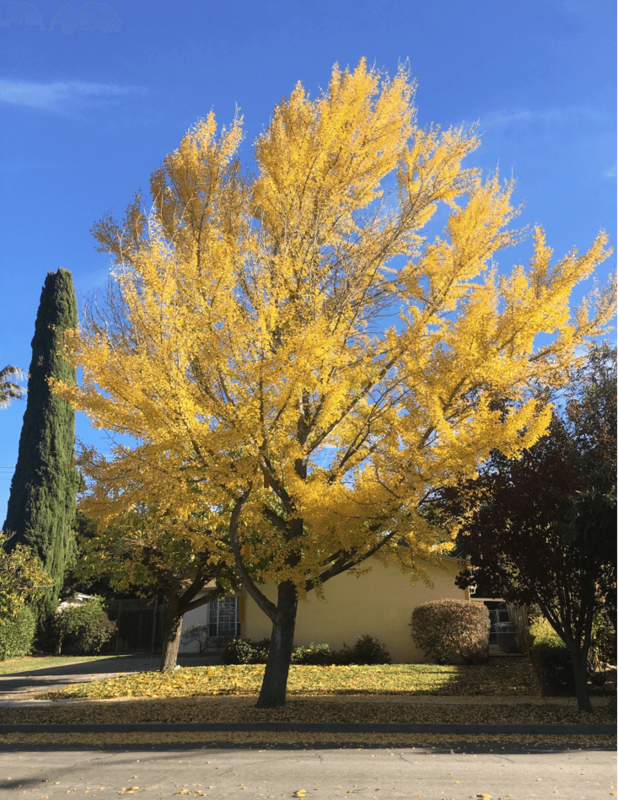 Author [email protected]Posted on November 15, 2017 November 22, 2017 Categories Trees, Water ConservationTags fallen leaves, foliage, healthy soil, leavesLeave a comment on Fallen Leaves – A Nuisance or Treasure? 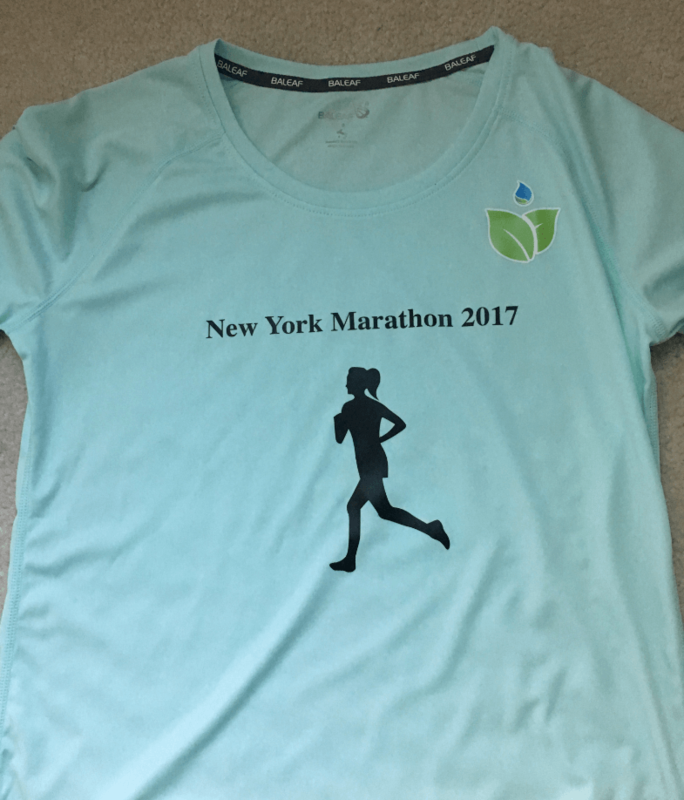 The New York Marathon finished last Sunday on Nov 5, 2017. 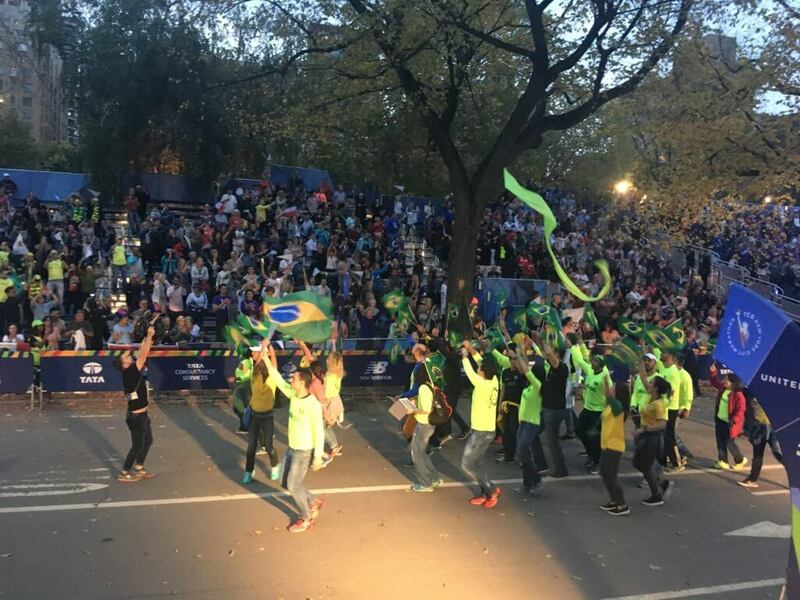 While several days have passed, the excitement of seeing so many runners, the cheering crowd, and crossing the finish line in one of the most iconic races in the world is still so fresh on the mind. It has been such an extraordinary experience. 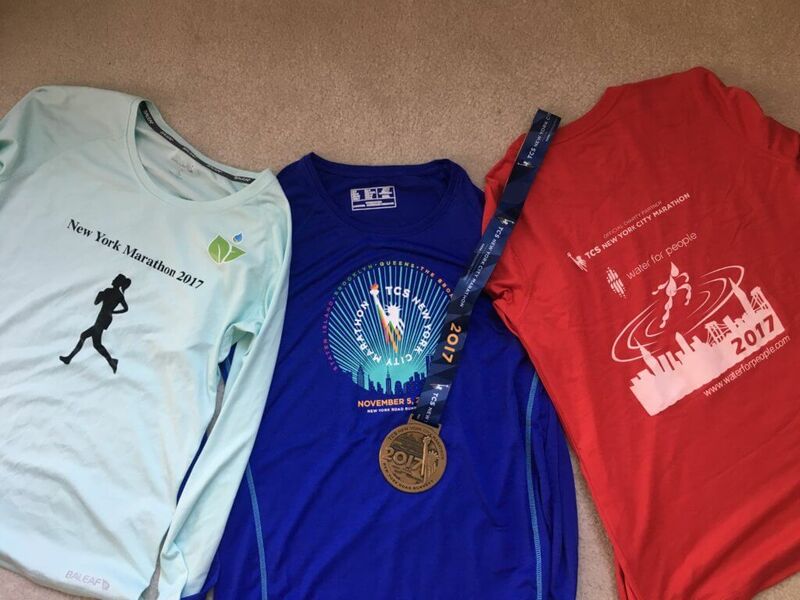 Though I have run marathons a couple times before, I have never run a New York Marathon. In the last 2 years, I registered for the lottery, but never won. This year, with the high hope that “3 is the charm”, I was very sure that I would be able to make it. But the email came yet again telling me otherwise. Hugely disappointed, I started to consider the only option, which I never looked at before – fundraising for charity. 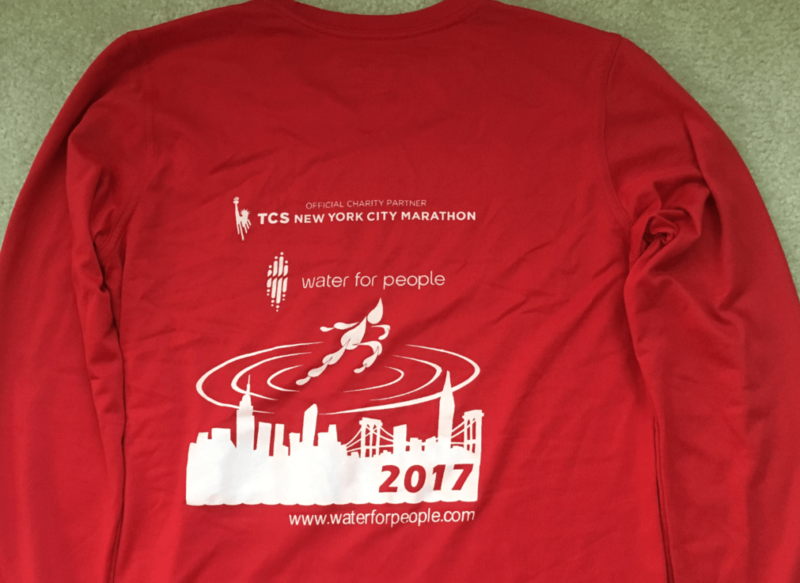 When I scrolled down the long list of organizations, came upon “Water for People”, and read through its description, right then I knew – this is it, I will fundraise to run my New York Marathon, and I will fundraise for Water for People. Water is something that I have been working on for the last 2 years. Run for water – there is nothing more fitting to describe my mission for this marathon. From 2011-2016, California experienced an epic drought. 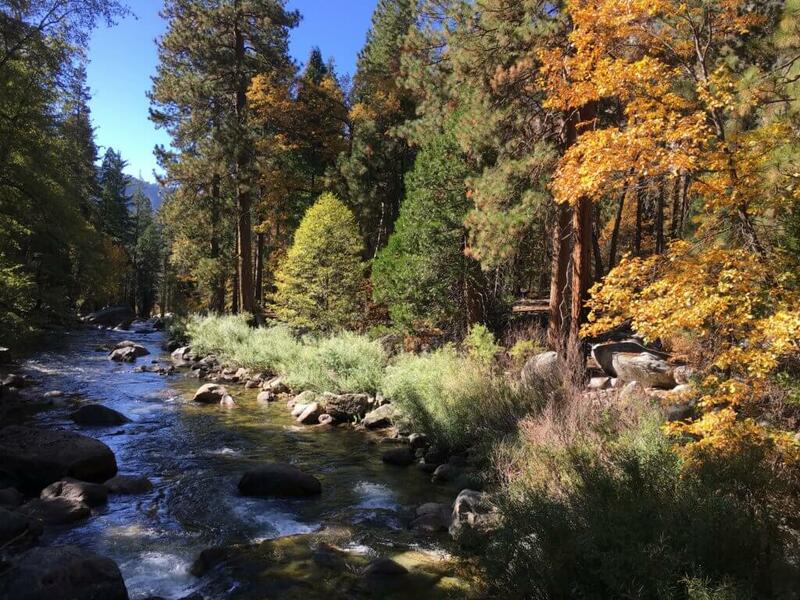 At its worst, the water content in California’s snowpack was only 5% the normal level. Suddenly, everyone realized how valuable the water resource is, and how we must do everything possible to conserve water. To convert a lawn to a water efficient garden is the most effective way to conserve water. For a lawn of 500 square feet, it can take as much as 4000 gallons of water in a month; if it is replaced with a water efficient garden, 30% to 80% of water can be conserved. Suppose the original household water usage is 8000 gallons a month, and the garden saves 50% of water, the total water usage will reduce to 6000 gallons, a 25% saving versus the original. 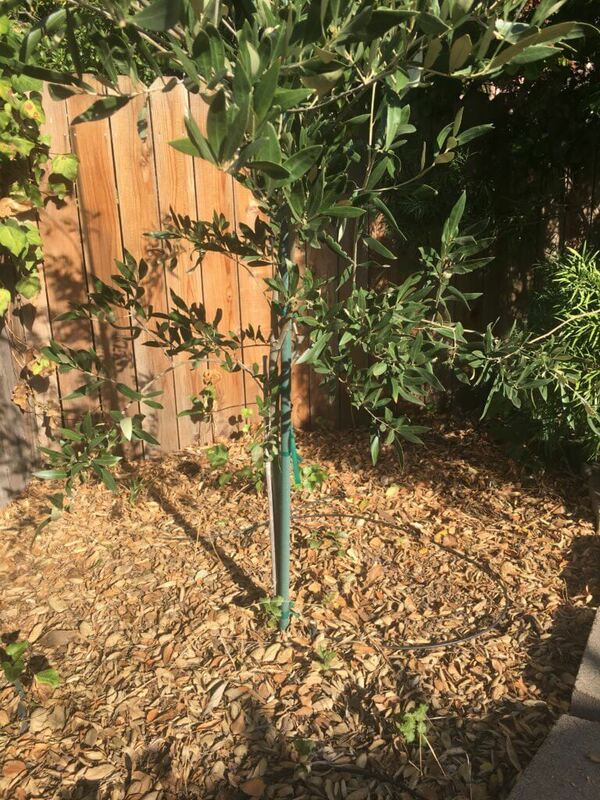 It was during the drought, WaterEfficientGarden.com was created to help more people build water efficient gardens, conserving more water. Water for People is rated 4 star by Charity Navigator, the highest of the ratings. While the angles to work on the water issue are very different, we both try to address the same root – water. At Water for People, it aims to create more clean water resources for people; at WaterEfficientGarden.com, we want to help people conserve more water with water efficient landscaping. 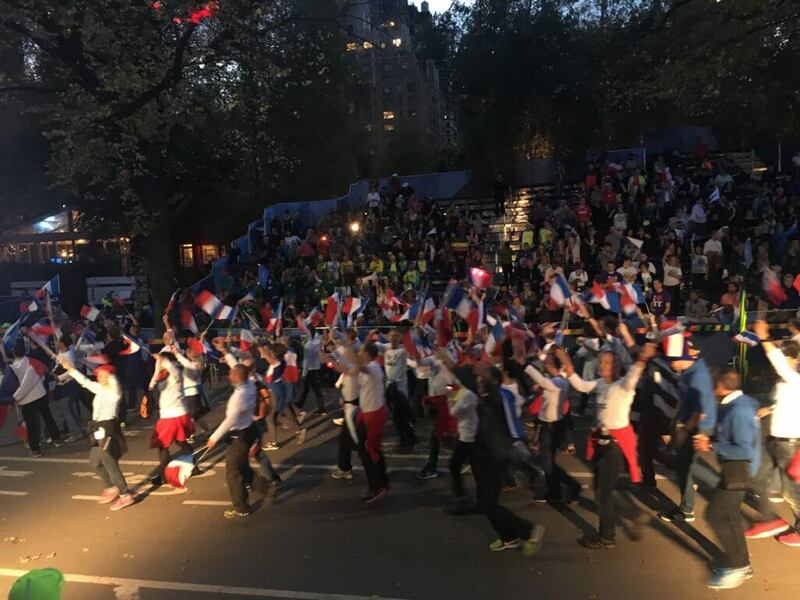 At the New York Marathon opening ceremony, runners from every country walked in a parade, a scene that strongly reminds you of the opening ceremony of Olympics. Yes, running is truly global today. 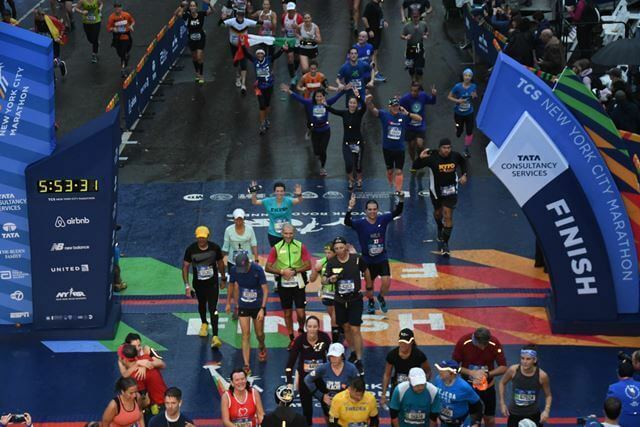 In the more than 50000 finishers of the New York Marathon this year, 139 countries were represented. Water is a critical resource for all human. The water crisis we may be facing tomorrow is equally global. United Nations predicts that in 2050, the number of urban dwellers living with seasonal water shortages will reach 1.9 billion, or more than a quarter of the world’s population. A global issue takes a global effort. We will need efforts like those of Water for People, and the energy behind the global running phenomenon to tackle the challenges together. At WaterEfficientGarden.com, we aim to make it easier for people to build water efficient gardens, so more water can be conserved. As STATE WATER RESOURCES CONTROL BOARD RESOLUTION NO. 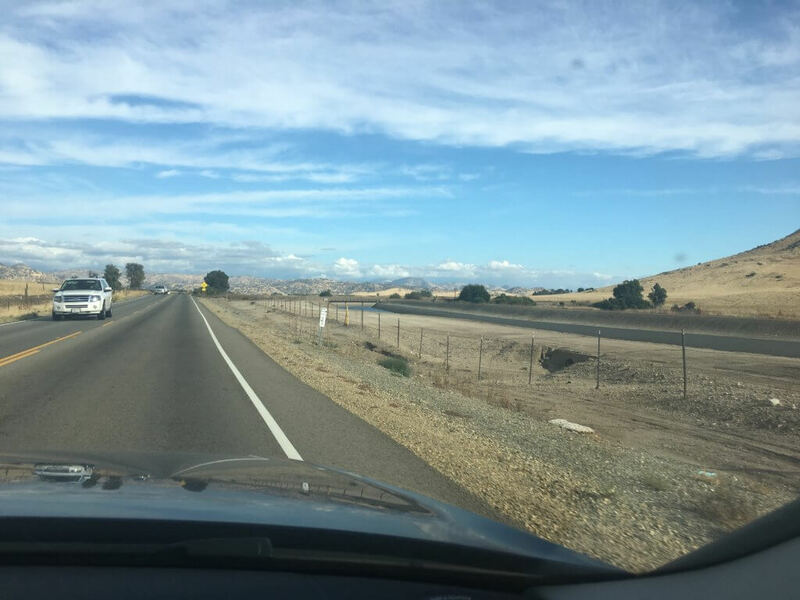 2015-0032 indicated: “Water conservation is the easiest, most efficient and most cost-effective way to quickly reduce water demand and extend supplies into the next year, providing flexibility for all California communities. ” One of the easiest and effective ways is to replace a lawn with water efficient garden. Not only will it conserve water, but it can provide a beautiful view for the house, and give food to pollinators. To solve the water issue globally is not unlike a marathon – it takes effort from everyone, and over a long period of time. Just like that in a marathon though, when everyone puts their mind, sweat and work into it, the finish line can be reached ultimately. Run for water – and we will win at the end.